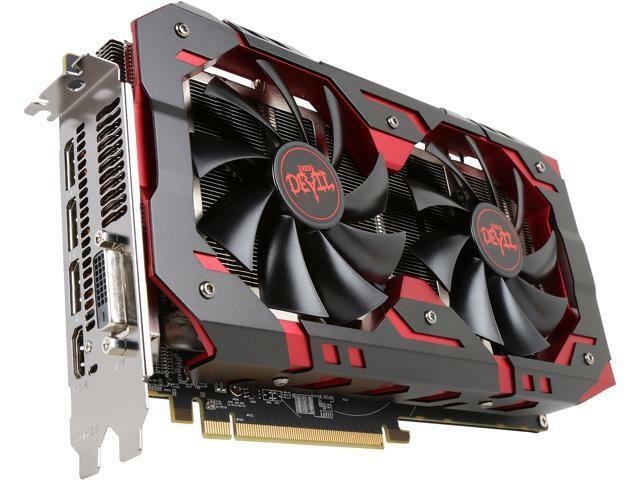 Built using AMD's advanced Polaris architecture and GloFo 14nm manufacturing process, PowerColor Radeon RX580 enables game enthusiasts to enjoy a smooth gaming experience with 60+ FPS in 1440p for most AAA titles. The cooling system, including 4x 8Ø heatpipes, dual tow-ball bearing fans, and Mute Fan technology, ensures impressive silent cooling. A built-in back plate keeps the PCB well protected while the Red Devil LED light gives off an aggressive glow in the dark. 1. Ultra OC or Silent OC, just switch what you want! 4x 8Ø heatpipes efficiently dissipate the heat and make your card cool. Copyright © 2017 TUL Corporation. All Rights Reserved. Pros: The card seems to be well constructed and was available at a great price. Cons: I had to RMA the card due to lots of graphical issues and crashes in game. The card ran very hot and the fans would wildly jump between speeds. Other Thoughts: Seems like PowerColor is not a high quality manufacturer and the hassle wasn't worth the small decrease in price. Sorry for the inconvenience. Please download furmark, heaven, and 3dmark benchmark tests to see if the card is still having graphical issues and crashes. 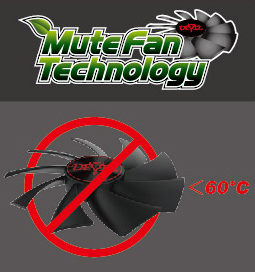 We recommend your PSU to be at least 700 watts to reduce the heat and decrease the fan from wildly jumping between speeds. Pros: It is all I need for 1080p gaming without having to OC. Currently playing the division 2 at stock speed without a hiccup with 54 fps average, in which I can't really tell the difference from 60 fps in a 60 Hz monitor. Pros: Great card! Super powerful, cool and looks great! Cons: Some people have reported DOA cards or cards with terrible coil whine. I have had no issues with this card but the Customer Service and RMA process seems to be a nightmare. Would suggest going through Newegg right away if there are any issues. Other Thoughts: Everything on Ultra you say, In 4k? Yes, really. Keep in mind I have a 4k Television capped at 60fps. I've had the card for 5 months now and It's working great but I had to tweak it myself to get it to work properly. 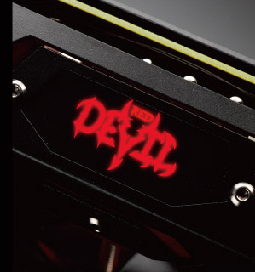 The Golden Devil edition that is more expensive is clocked out of the box at 1425mhz core clock speed, the Red devil is 1380mhz. Using MSI Afterburner I have my card stable at 1450Mhz core clock speed, 2124Mhz Memory Clock speed x4 = 8496Mhz. You have to raise the power limit to +34% and I have my fan speed locked to 39%. At that speed and power limit it keeps my card at 21C at idle and a Max of 69C under prolonged full load of about 5 hours in the Division 2. The golden edition is the same card and fans but the bios is set to 1425Mhz and there is a better heatsink on it. I say It's STABLE but I've pushed it past that to 1475mhz core 2250Mhz mem clock speed, +50% power and +60 voltage and 45% fan speed. 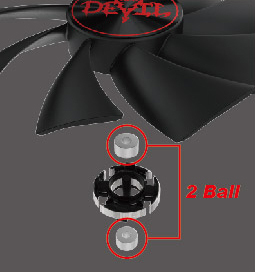 It worked but it was hot, 82C under load, fan was just on the edge of what I wanted to hear. I figured having it run that hot would reduce the lifespan of the card so I backed off and it stays within a limit I'm comfortable with. Hope I've given you something to consider, I do not regret this purchase. Pros: It's a nice card that lets me play my games at ultra settings with at least 60FPS at 1080p. Some games (e.g. The Division 2) do go a little below 60 but that's no problem since I have freesync monitor. During gameplay the card is quiet (or at least can't be heard over my speakers). Outside of gameplay, I can't even hear the card; this is because the card sets the fan to 0 under minimal load and the temps are below 60C. This was definitely a good value relative to a comparable nvidia card since I got it on sale and got the free games (which I wanted). Cons: Only one HDMI port and is power hungry. The card is more like 2.5 slots wide. Other Thoughts: While you can get a comparable nvidia card for a little more, if you actually want any of the games being offered, this is a better deal. 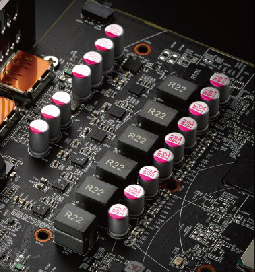 Also, if you're a casual gamer gaming at 1080p, I'd get this card since it saves you money! The card can get obnoxiously loud if the fan speed goes over 55-60% like during my Furmark stress test. Not a big deal during gameplay since the fan speed stays below 60%. Pros: One of the best Graphic Cards I've used especially for its price. Other Thoughts: Even though the card gets loud I can not hear it while gaming using my headset. Pros: Runs everything maxed out. Not sure why everyone says you need more to do 4k gaming. I was able to load up Shadow of the Tomb Raider Demo at 4k with everything including pure hair turned on. Only slow down I experienced was the opening scene. Aslo tested on Full Version of the Witcher 3 at 4k No slow down that I could see. I do not know frame rates but I did run fire strick on 3dmark with a score of 12,219 and time spy at just over 4,000. Other Thoughts: Looks and feels sturdy. Very nice looking in my case. Red Devil logo is a nice touch.